IKEA let their token greenie, 'Chief Sustainability Officer' Steve Howard, out of his box for a brief spell a short while ago. He is normally content to jet around the world to climate conferences, where his presence amidst so many of the deranged is more or less harmless and generally goes unnoticed. This time he ended up at a 'Sustainable Business' debate hosted by the Guardian. Howard told his audience of drooling greens that we in the West had reached 'peak stuff', alluding to the famous 'peak oil' forecast all those years ago that the world would [run out of oil][achieve maximum production] in [pick a year a long time ago]. We are still waiting for the fulfilment of that spectacularly wrong-headed prediction. That over-inflated ball was punctured and the air hissed out of it a long time ago. Sane people would attempt to put as much distance as possible between themselves and the old peak oil forecasting failure. Greens still seem happy to pick up this completely deflated ball and run with it, spawning new peak dooms as they go. 'Peak stuff', eh? Populations are growing (as greenies keep reminding us), the cycle of homemaking, nest-building, breeding and propagating seems to be continuing unabated: this is hardly a saturated market. In its yearly summary for 2014 IKEA tells us that it has 222 stores and 20 distribution centres in Europe. In the USA, however, still the economic powerhouse of the world, it has only 51 stores and 7 distribution centres for a population that is roughly equivalent to Europe. In Russia 14 stores and in the whole of 'Asia' – how many people is that? – IKEA has only 23 stores. In Australia there are only 5 stores. 'Peak stuff'? I don't think so. Well, he did say 'in the West', but even so, there is still a lot of scope in the USA. However, in a piece of cognitive dissonance and paradox only the greenie mind can comprehend, Howard simultaneously toes the company line on growth: IKEA expects to double sales by 2020 – that is, in only four years' time. So, in a world which has reached 'peak stuff', how is IKEA going to do that? Howard: 'We will be increasingly building a circular IKEA where you can repair and recycle products.' Hmm, let's see how that will work. I have a chest of three drawers from IKEA here in my office. As a flatpack it was very heavy, it took an hour to transport from our nearest IKEA store 50km away, it took probably more than an hour to assemble and made my aching joints wish I was twenty years younger – never again, I said to myself at the time. But it was cheap and functional, and I probably would go through the strains of transport and assembly again. The laminate and wood of the chest in various places has suffered water damage. Assuming I don't just want to live with it, what are my options in Howard's fantasy green business model? Hire a truck to transport it 50km for repair. Leave the drawers, drive back and return the truck. When the repair is complete hire the truck again, drive out and collect the repaired item, drive back home with it and return the truck. Dismantle it and transport it or some bits of it in my own car the 50km myself. Same as above but with aching joints and without the truck hire. Get IKEA to come and collect it, repair it and return it. Labour costs plus two round-trips by the delivery service. Dump it. The local recycling place will charge me a trivial amount for this service. Drive to IKEA and buy another. One round trip and a nice new chest of drawers. Give it to someone who doesn't mind a bit of water damage. Drive to IKEA and buy another. One round trip and a nice new chest of drawers. Options 4 and 5 are of course the only sane ones, commercially or environmentally. They are the current options in the real world. Option 5 is not really a good one for IKEA, in that the recipient of the chest is not going to buy one from IKEA, at least for a while. Options 1-3 are just differing flavours of green lunacy. The cost of a repair should be be some small fraction of the original cost or current value; here it is probably a multiple. A cup-ring on my Chippendale writing desk may need the outlay of a few thousand whatevers for skilled hands to fix it, but that is still well worth doing to maintain the value of the piece. If some 'stuff' is already unbeatably cheap, it is almost impossible to repair it for a fraction of that low initial price. Considering that the value of the piece is reduced by at least 50% as soon as it has been unpacked and considerably more by the time I have finished hammering dowels into places they should not go, there is even less financial incentive to mess about repairing what is essentially junk. According to his vision, Howard's IKEA will become some kind of recycling centre for IKEA products. Why on earth should I transport my dead IKEA stuff 50km to recycle it? For a trivial amount I can take it to the recycling centre 5km down the road. by 2020, we will produce renewable energy equivalent to 100% of our total energy use. By the end of 2015, we aim to have invested and committed to invest EUR 1.5 billion in renewable energy projects, mainly wind farms and photovoltaic (PV) solar panels installed on our buildings. We have already committed to own and operate 224 wind turbines around the world and have installed 700,000 solar panels on our buildings. In FY14, we invested in our first wind farm in the US, which was our largest renewable energy investment to date. When operational, the wind farm will produce a third more energy than IKEA consumes in all our stores, distribution centres and factories in the US. For a company that made almost €13 billion gross profit in 2014 on sales of just over €29 billion, a few hundred million a year on vanity projects is not going to break the bank. Nevertheless, the statement that 'we will produce renewable energy equivalent to 100% of our total energy use' is also incomprehensible. If this means that the 'plated' output is this much, then the actual generation from wind and solar is going to be much lower, in which case the statement is misleading virtue-signalling of the worst kind. If, on the other hand, the statement means that they are going to produce the amount of energy they use, then all kinds of interesting questions about true generated output and variability follow. Let us also not forget about the considerable amounts to be earned in subsidies and feed-in tariffs (for the moment, at least). The CFO of IKEA may be rubbing his hands in glee at all the money that is going to flow into the company as a result of this pointless moral preening. But as it stands, this statement is just nonsense, part of the usual greenie garland with which companies in a state of advanced shakedown try to distract us. 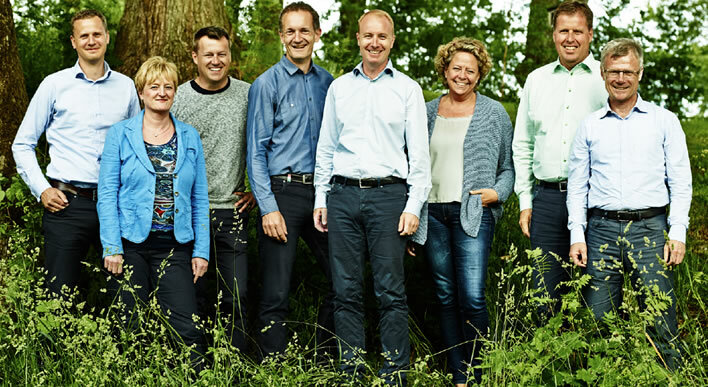 The IKEA management team in 2014: no ties and distressingly bad dress sense. From left to right: Martin Hansson, Petra Hesser, Jesper Brodin, Steve Howard (centre-stage as usual), Peter Agnefjäll, Helen Duphorn, Leif Hultman, Alistair Davidson. It may be that, in Steve Howard, the IKEA Group has hired a court jester to keep the greenies amused, but the question is: does the rest of the management team and particularly the CFO really believe this 'peak stuff' rubbish? I hope not.